As featured on the MultiSport Canada blog. 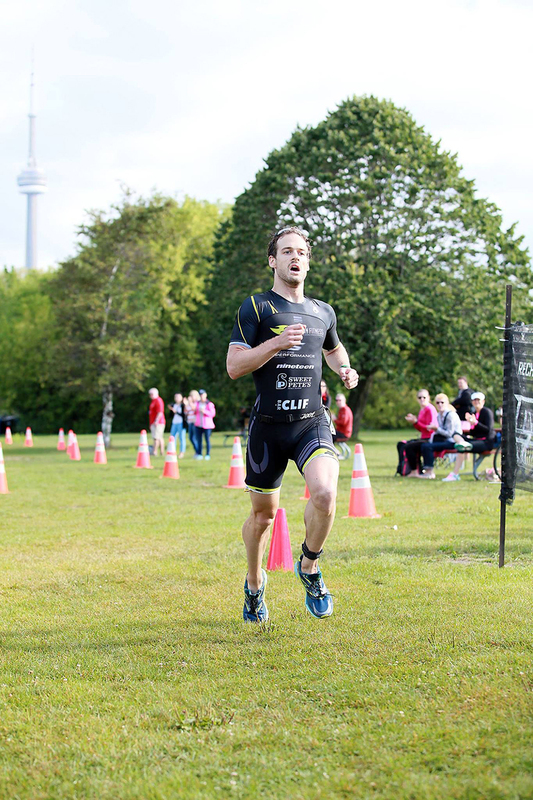 The Toronto Island sprint triathlon was the first MultiSport Canada race I ever did, back in 2013. I had moved back to Toronto only a few weeks prior, after five and half years in Copenhagen, Denmark. 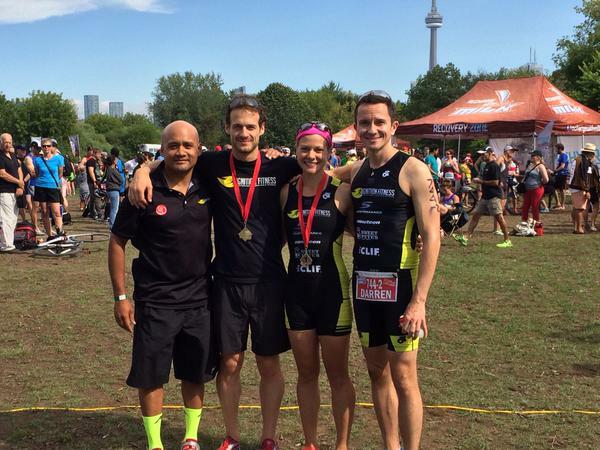 I was excited to find that Ontario had a vibrant triathlon scene and with a race practically in my backyard, it was the perfect opportunity to see what the Canadian field was like. My triathlon adventure started in Copenhagen, so I had no idea what Ontario would offer. Plus, I could ride my bike to the race! I won the race in 2013 and competed again in 2014, finishing a close third. 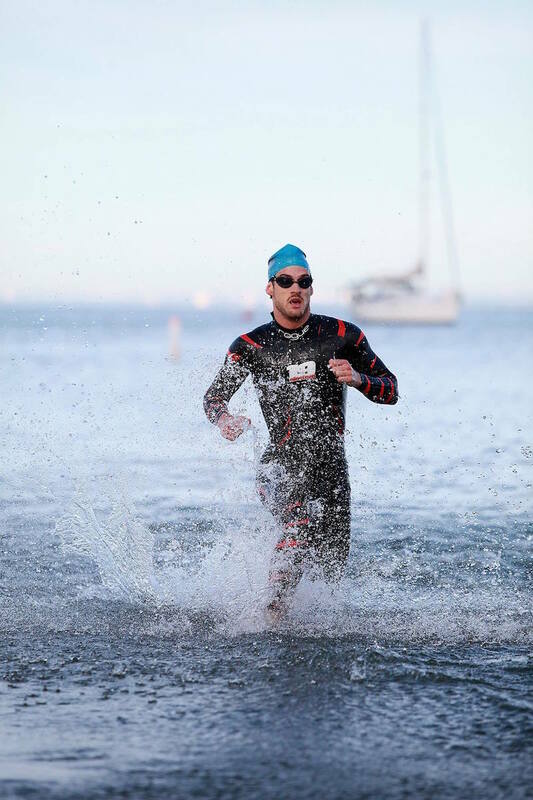 The weather had been horrible and Lake Ontario was freezing cold – so cold that the swim was shortened to 350m. This year, though, saw a return to typical August weather and the day started beautifully. The Island has a certain serenity early in the morning before the summer hordes reach the shores to soak up the afternoon sun. The view of the swim course before the start is always photo-worthy and the sun left a wonderful sheen across the water’s surface. The weekend before, I had competed in the Challenge Pocono Mountains half-iron race. It was a complete disaster. The Twitter account, @TriExcuse would love this one: water-logged goggles, puking on the bike and a stomach that wouldn’t accept anything but water from 50km on, two flats and a tumble into the bushes as a result. Paired with a mega hot day and a supremely harsh hilly run course, my day was very long – but I finished! The Island sprint was to be an opportunity to make up for that mess and the goal was to simply have fun. Because I was not having fun in the Pocono Mountains. At all. So little fun in fact, that I questioned the point of triathlon. Always looking sharp in my Nineteen Rogue. Also wanting the bonus points for the series standings, I made sure to enter T2 first. Bolton was right on me though, so a quick transition was key. Running into transition, my brand new cycling shoes caught the ground, flinging dirt and wood chips everywhere, and sending my front wheel bouncing around in all directions. I watched in amazement and horror as my bike bucked like a raging bull. Letting out a “what the f—“, I seized the crazed carbon animal and regained control. But I was disappointed that my spiffy white shoes were no longer spiffy nor white. Throw the bike on the rack. Helmet off. Left shoe on. Squeeze in there foot, now! Right shoe on. Number belt. OK, Go! RUN. I did not want to give Bolton a chance and stormed out of transition, the lead cyclist just in front of me. The first 500m of the run are on the grass and present a challenge in finding solid ground to gain momentum. As the ground levelled out and the road was in sight, the cyclist looked back and told me I had a lead of about 15 seconds. Keeping the momentum and focusing on controlling my breathing and regaining composure, I hit the pavement and kept it churning. The run course is great for spectators and racers alike. Four loops of about 1km means you are seen multiple times, and it gives you a chance to see where your competition is exactly, including the contorted grimace of pain or the ironclad stare of determination. With each loop completed, I could see that I was increasing my lead. The lead cyclist resumed his position in front of me after the last turnaround and we turned onto the grassy section again, where I tried picking up the pace for a strong finish. I heard Steve Fleck on the loudspeaker announcing my name as I approached, and could see my mother bouncing up and down like an uber fan, and big smiles on my father and girlfriend’s faces. I had reclaimed my Toronto Island title and most importantly, had fun doing it.